Open Mic and Featured Poets at San Francisco Public Library! Come celebrate National Poetry Month at the San Francisco Public Library! Whether it’s spoken word, music, comedy, or something else entirely, all are welcome to the stage! Artist sign-ups will be on a first-come, first-serve basis. Each artist receives 5 minutes on stage. Thank you to everyone who sent us their work! Submissions are now closed. Stay tuned for further announcements about our upcoming events and the publication of our Spring issue. SUBMISSIONS ACCEPTED UNTIL 11:59 PM TONIGHT! 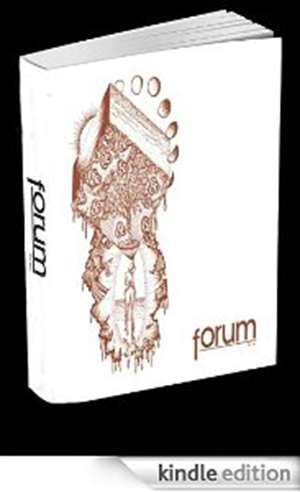 Send your work to submissions@forumccsf.org. Here are the submission guidelines. LAST CHANCE TO SUBMIT TO OUR SPRING ISSUE! 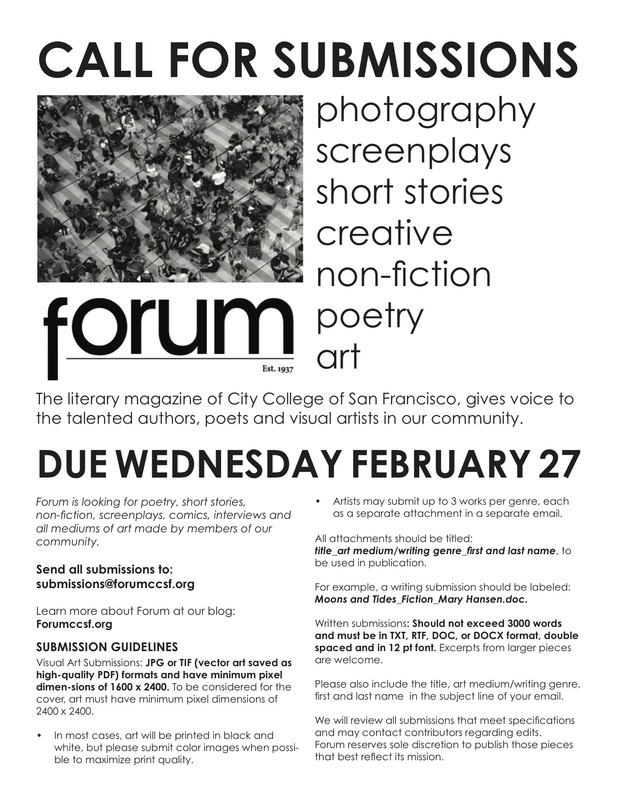 SUBMISSIONS DUE WEDNESDAY, FEBRUARY 27TH! DON’T MISS YOUR CHANCE TO BE PART OF OUR SPRING ISSUE!! 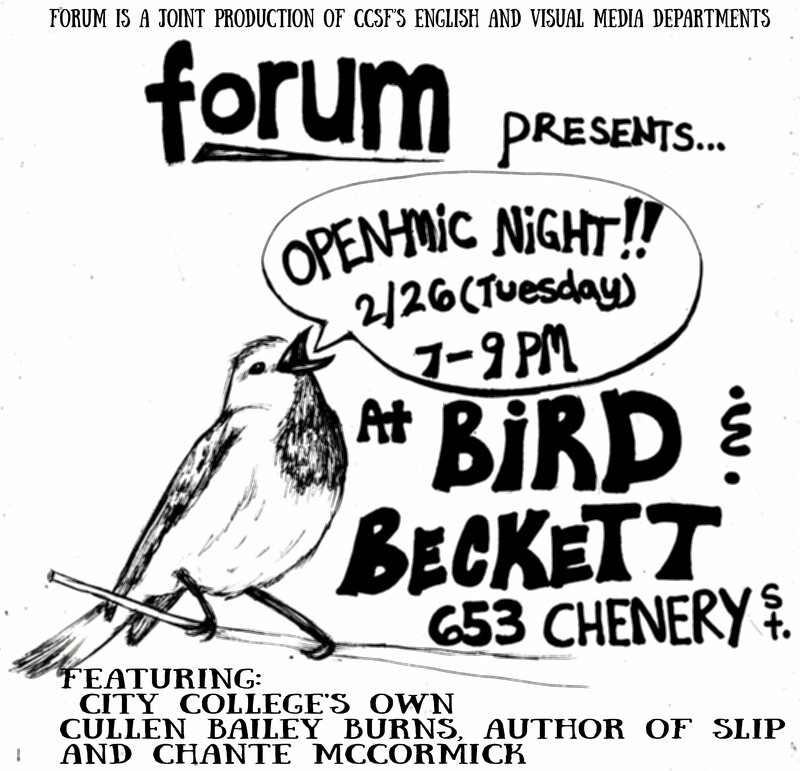 Forum Literary Magazine Presents…Open-Mic Night! Come join us as we celebrate the colorful urban voices of San Francisco! Whether it’s spoken word, music, comedy, or something else entirely, all are welcome to the stage! Artist sign-ups will be on a first-come, first-serve basis. Each artist receives 5 minutes on stage. Featuring San Francisco City College’s own Cullen Bailey Burns, author of Slip, and Chante Mccormick. Joyce is a graphic designer with roots in Chicago but based in the Bay. When she’s not obsessing over ampersands you can find her galavanting around the world with her camera to capture the perfect shot.